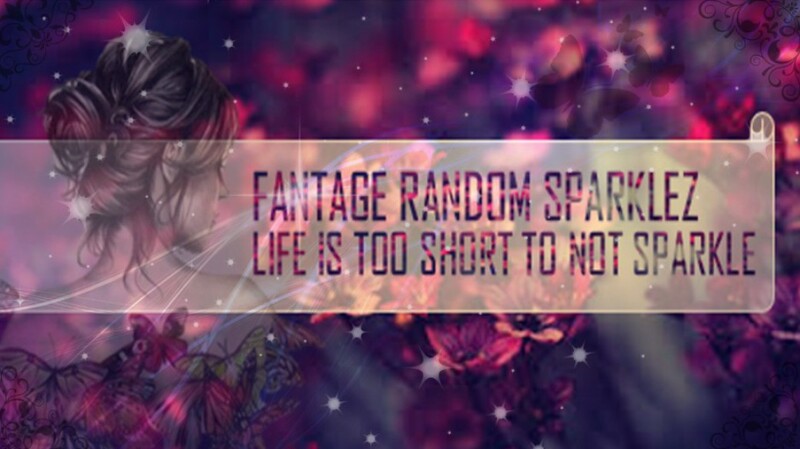 randomsparkle | This is a place to sparkle! This is a place to sparkle! Hey, I’m currently making this blog into a new one since none of us (blog admins) really post about Fantage, and this is, well, a Fantage blog. But I realized I couldn’t change the blog address (I guess the creator of the blog has only control over that) so I just made new blog like a few seconds ago and am going to export the contents of this blog into that one. Haven’t posted on here for like two months! 😮 So sorry for not posting, but I have quit Fantage, and barely go on. Plus, I don’t feel as if it is right to post anything other than Fantage on a Fantage blog, if that makes sense? This blog has just been lying there in the blogs I work on, and I feel like making something new with this blog. Moonlightinthesea has unfortunately quit for I think, the final time, and has left this blog to the other Admins of this blog. So I was thinking maybe changing this Fantage blog into a lifestyle one. I’m just really done with Fantage, and I don’t want this blog to go to waste since it was doing pretty well. If the other Admins (Jadeallstar and BruhIt’sAmber) have any disagreements/suggestions, then please notify me. If not, I’ll be making this blog into a brand new one, with a different URL and purpose, once school is over for me. P.S. Please don’t try to convince me out of this, this is for the better. I need to do what feels right to me. I love Indian food, ice cream , pizza, and MANGOS!!! I forgot to mention this but I am extremely lazy (I think you will see an example of my laziness soon). Ok so all of you who hate or love or just don’t care about April Fools. Here is a short story of how it all started (I’m only writing whatever I know, its not a lot). April Fools back in the day used to the “New Year’s”. On this day, people would give fish as a present (People who don’t know this, in France, April Fool’s is actually Fish April I think).Later on, January, February, and March were added so January 1st became the new “New Year’s”. Then, people were like, oh let’s not give fish anymore, how about tiny little gifts such as chocolate? And that’s how it came to be. Sorry I wasn’t so informational. P.S. the main reason I wrote this is to ask, is anyone else unable to see their notifications? If you know how to solve it, please help! Go through your Fantage inventory to look for what Fantage hair best matches your real life hair. 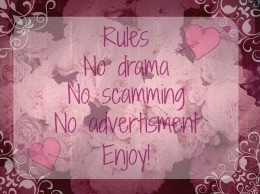 Share the rules on your post. Can be more than one hair. (My stupid laptop won’t load Fantage at the moment, so I’ll just use a base and hairs from hair packs and edit). I nominate… whoever wants to do this. Too lazy to nominate LOL. I seriously hate hate HATE school sometimes. I been getting so much work lately that I could barely sleep for the past 3 weeks. Also, to add onto that I had exams! What joy! Why would you give a ton of projects and homework when people are trying to study for their exams, their lives do not just revolve around you! When will schools/ teachers understand… Comment below your school frustration stories or however you feel right now so we can start a school therapy group. Feeling lost? Open the key to your dreams!